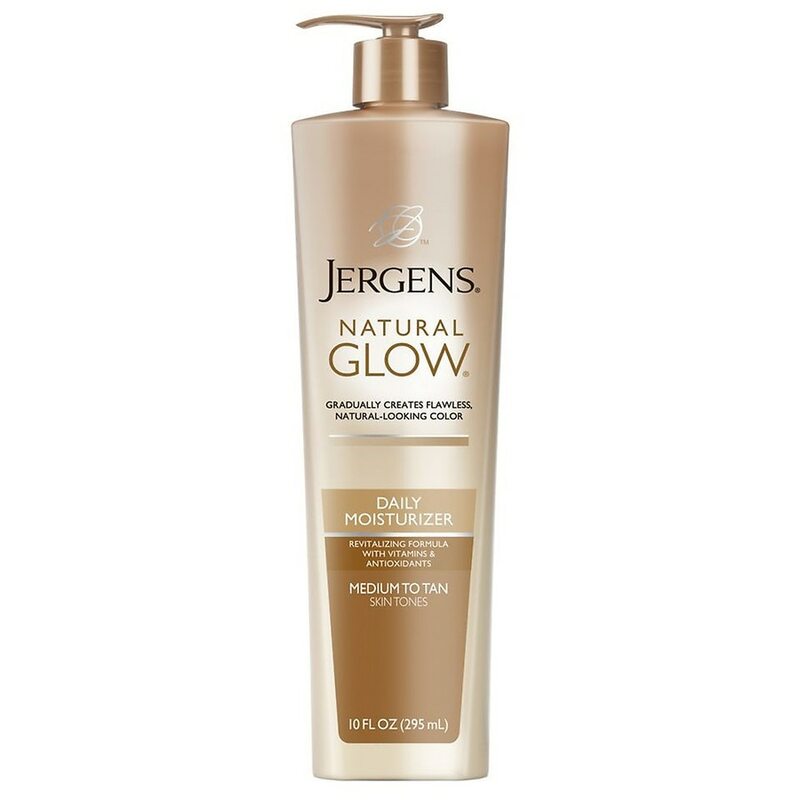 Jergens® Natural Glow Daily Moisturizer creates a color that's gradual, flawless and captivating. You'll experience natural-looking color that's streak-free, hassle-free and with our break-through patent-pending technology, has no sunless tanner odor. Formulated with a blend of antioxidants and Vitamin E, Jergens® Natural Glow Daily Moisturizer helps keep skin healthy-looking and nourished so you'll see, feel and experience natural-looking color that is the very essence of your beauty. For best results, use daily as your body lotion. Smooth on evenly and completely. Use sparingly on knees, elbows and ankles. Allow several minutes to dry prior to dressing. Wash your hands after application. You will begin to see a subtle development of color within several days. If color change is not as noticeable as desired, apply more frequently. Best if used within 12 months of opening. © 2012 Kao USA, Inc.
For external use only. Avoid eye contact. If eye contact occurs, rinse thoroughly with water. Do not apply to broken skin. Discontinue use if irritation or rash appears. This product does not contain a sunscreen and does not protect against sunburn. Repeated exposure of unprotected skin while tanning may increase the risk of skin aging, skin cancer, and other harmful effects to the skin even if you do not burn.